I really must share a Freeland, WA favorite with you. Just up the hill from Holmes Harbor is a dining treasure. We try to make it to Gordon's On Blueberry Hill on nearly every visit we have to Whidbey Island. This relaxed, fine dining restaurant with a fantastic view is the perfect place for a celebration dinner. Anniversaries, birthdays, and island getaways are the perfect excuses to celebrate. After all, you're on Whidbey Island, aren't you? The garden entrance, little sparkling lights, candles, and a warm greeting are just the beginning. The New American Cuisine menu, with a hint of Cajun, features local Northwest ingredients, and together, with an elegant and welcoming ambiance, and breathtaking views of Holmes Harbor, this place is a gem. 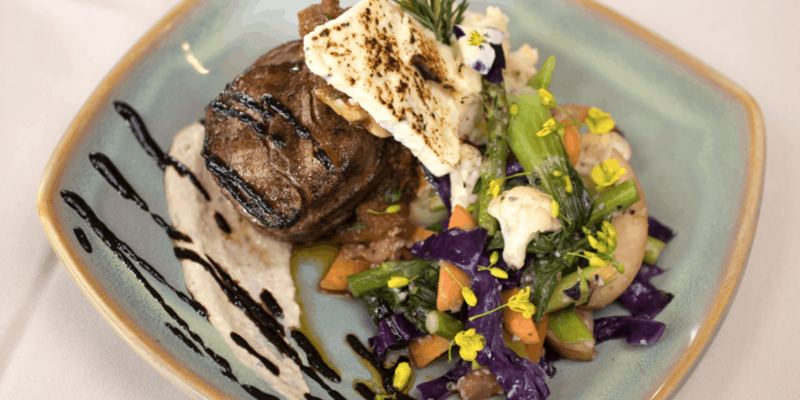 Chef Gordon has been adding some newly inspired dishes to his farm-to-kitchen line up and I can't wait to celebrate my next trip to Whidbey Island and try them. If you have food allergies this restaurant is very accommodating and they even offer gluten-free bread and pasta upon request. This makes me so happy to have gluten-free, toasted bread to dip into my favorite appetizer -- Penn Cove Mussels and Clams in a Coconut Curry Broth. The gingery broth is delicious enough to eat on its own. In fact, Chef Gordon has shared his recipe for this dish and now I don't have to guess at it when I attempt to recreate it at home. I hope you can enjoy a relaxed and elegant dining experience at Gordon's On Blueberry Hill on your next visit to Whidbey Island. Watch the sunset on Holmes Harbor and then enjoy the elegant glow of the candles and twinkle lights. Don't just take my word for it, check out tripadvisor.